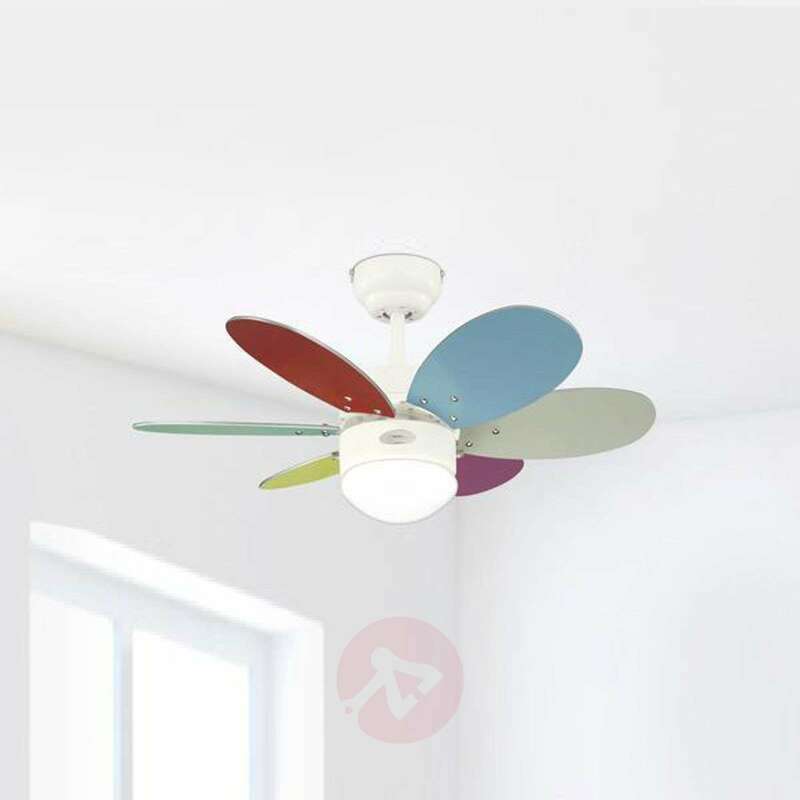 The Turbo II ceiling fan is surprising with its variability - a total of four colourful variations is possible. 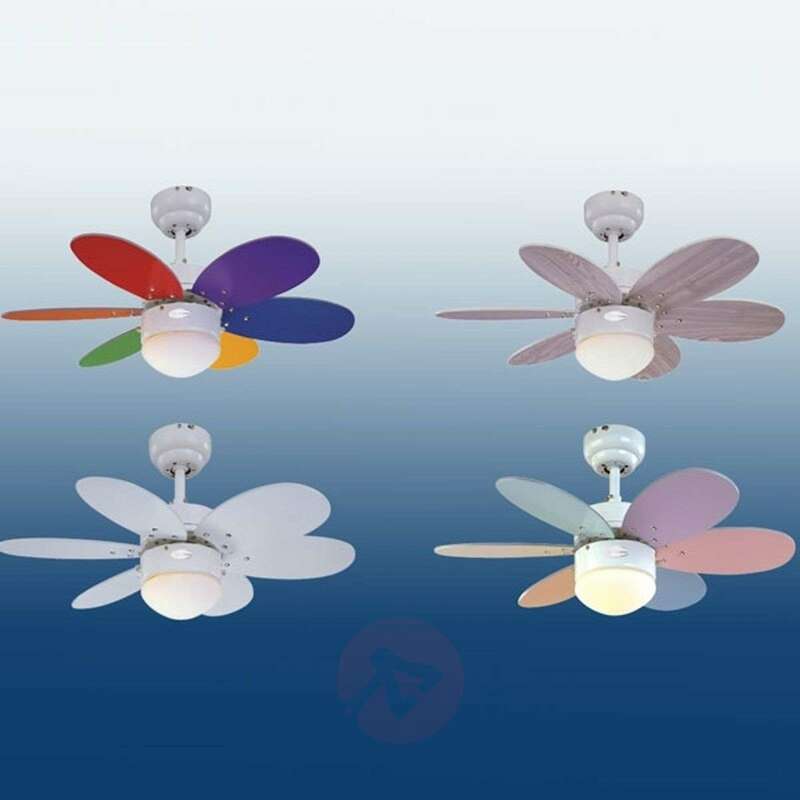 The Turbo II fan can be adjusted in three stages (power: 53/37/26 Watt, RPM: 250/190/130) and is extremely smooth running and quiet. A durable brand product with style, quality and reliability. 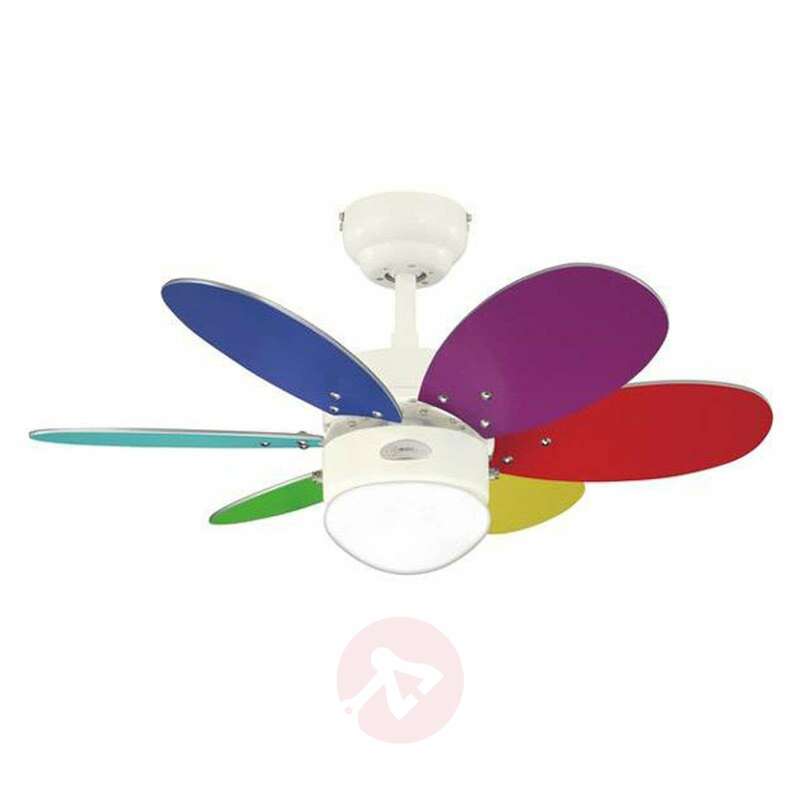 The manufacturer provides a 10 year warranty on the motor. 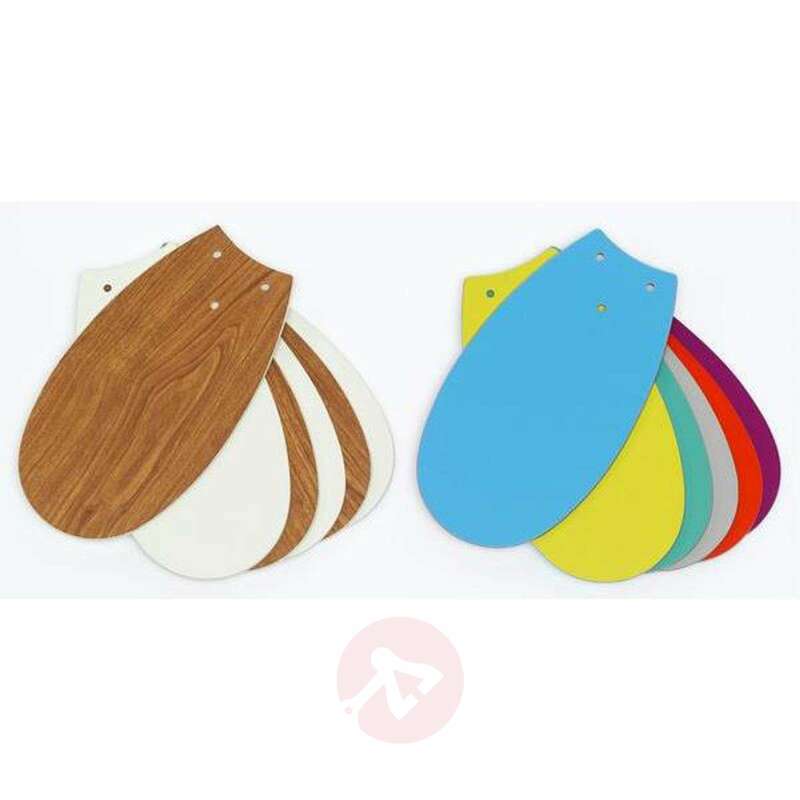 Suitable for rooms up to 12 m². Rooms 3.5 m high or greater, extension rods are recommended (see accessories). 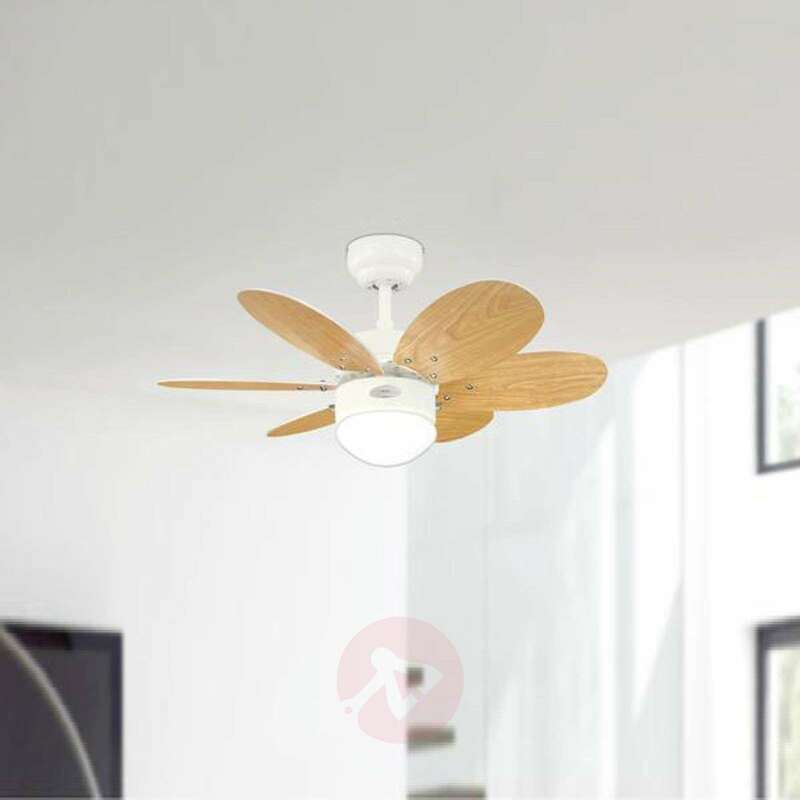 Please note: The blades of this ceiling fan can rotate in both directions (can be selected via a slide switch on the housing) and is thus suited to use in the summer and in the winter. 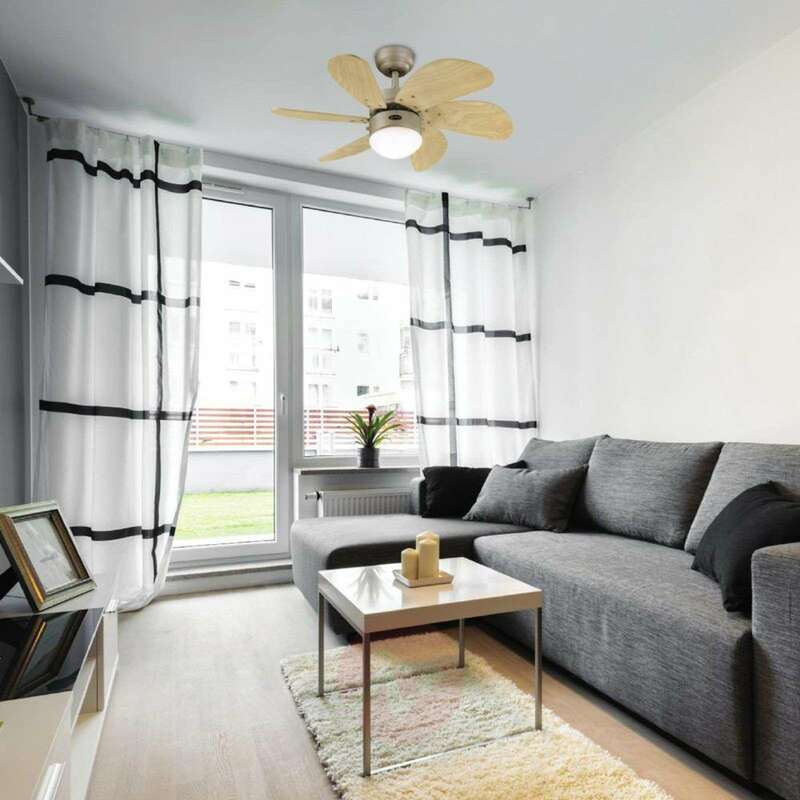 In the winter, it saves up to 30% in heating costs and in the summer it provides fresh air. 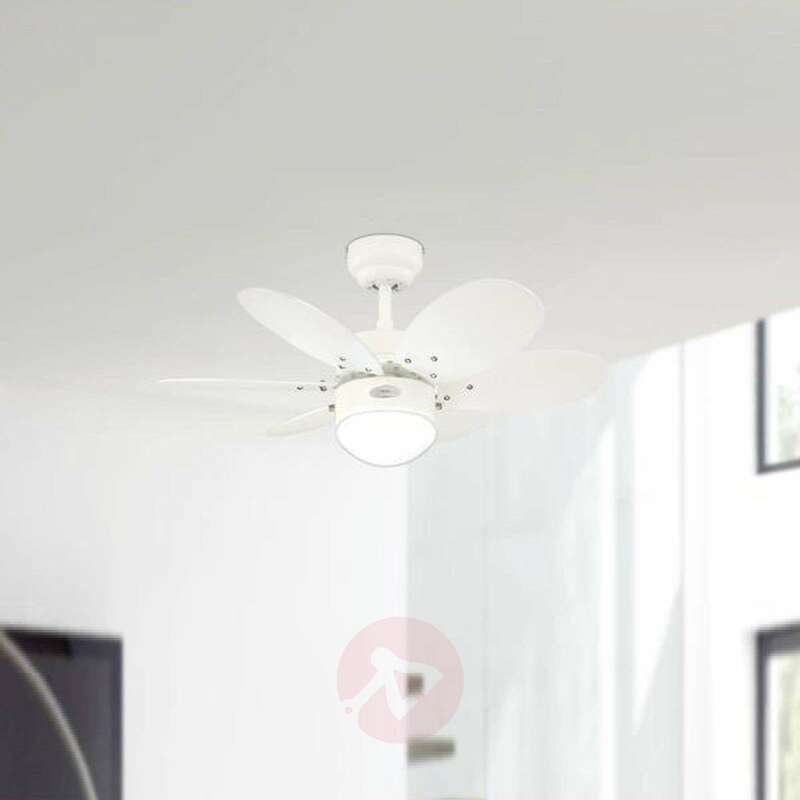 Turbo II is suitable for mounting on ceilings at an angle of up to 40° and is equipped with a pull switch. 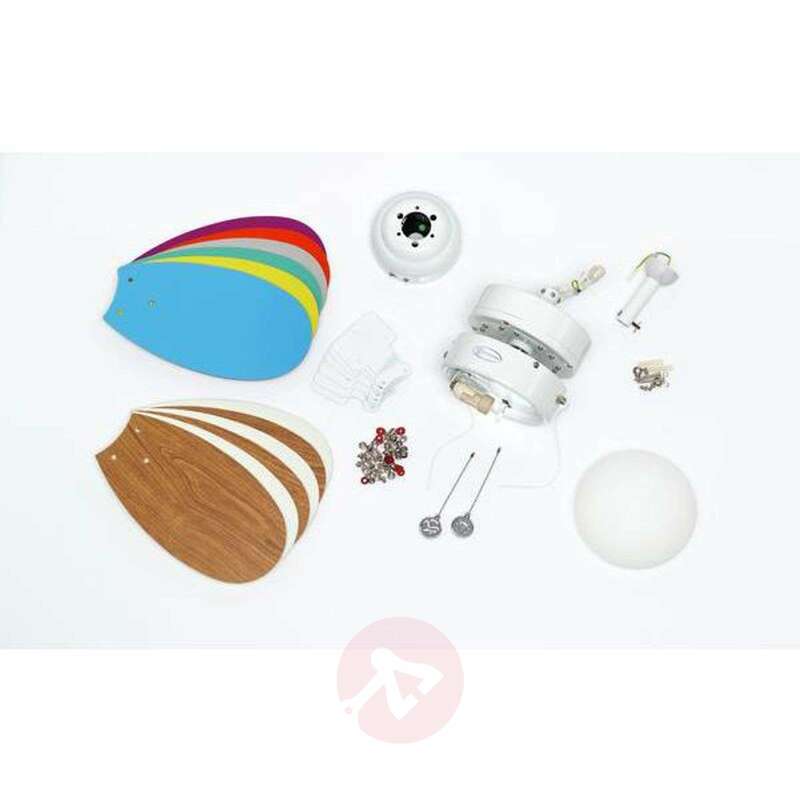 remote control and wall switch are optional (see accessories). 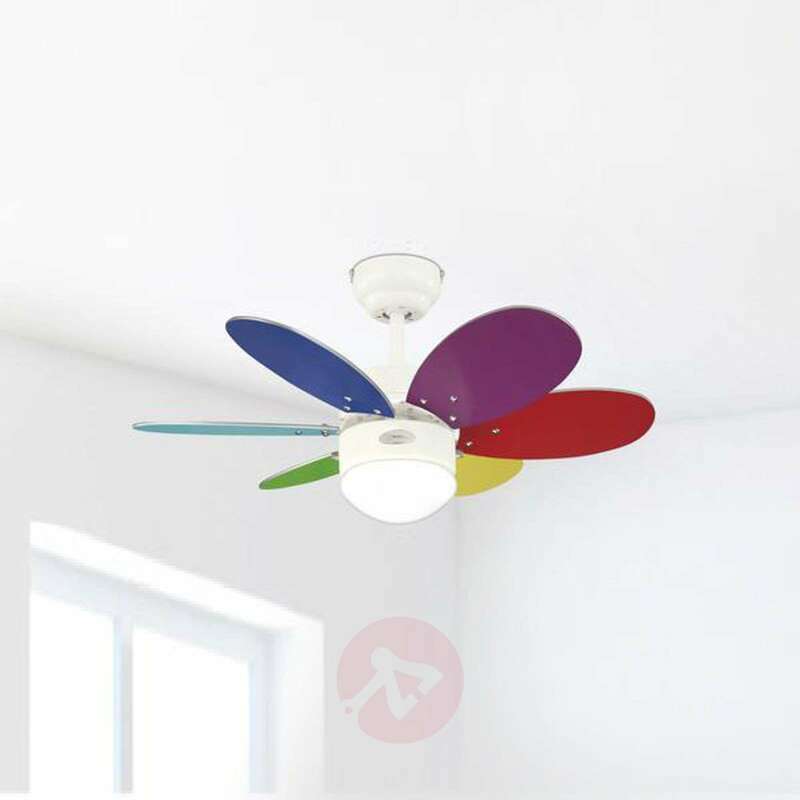 This fan was bought for our daughters room and works perfectly, it also looks good too. There was a bit of confusion about the fitting instructions but my husband googled the problem and then fitted it without any issue.